On March 5th 2015, APOPO opened the APOPO Foundation in Geneva, placing APOPO at the center of International Demining efforts and World Health. The APOPO Foundation aims to support the organizations' overall global activities by strengthening its network and financial resources whilst making sure it is now placed at the forefront of international mine action efforts and international health in Geneva. This city hosts some of the major actors in the field of Humanitarian Mine Action (notably the Geneva International Centre for Humanitarian Demining - GICHD), as well as renowned Tuberculosis research institutes (e.g. the World Health Organization and the Foundation for Innovative New Diagnostics). 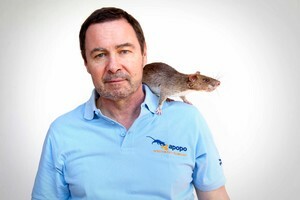 Anna is managing the development of APOPO in Switzerland to promote Detection Rat Technology, strengthen local anchor and initiate international partnerships. Anna previously passed a short spell at UNIDO in operational follow-up and technical coordination of field offices, before joining Ashoka, a global network of social entrepreneurs. At Ashoka she supported the development of their fledgling foundation in Switzerland, and their program to promote hybrid economic models. Whilst there she met Ashoka fellow and APOPO’s founder Bart Weejtens and became passionate about the project. Anna holds an MA in Corporate Strategy & Finance from Science Po Strasbourg (FR) and the University of Sussex (UK). Trained as a lawyer, Y ves has spent thirty years within the financial sector, covering investment management, corporate finance, legal practice and business development. In 2014, Yves founded Hugo Fund Services based in Geneva. A Swiss philanthropist, Yves is part of the Ashoka Support Network designed to support the development of social enterprises - a commitment illustrated by his role as chairman of the APOPO Foundation. Yves graduated from The University of Geneva law school, The Graduate Institute of International Studies, Geneva, and The New York University Law School. He is also member of The Geneva Bar. Tim has an MA from Oxford University in Zoology and Ecology and began his professional life as an environmental campaigner in the UK, before joining the European Commission in Brussels as a trainee. He has been working with European Institutions for thirty years in a wide variety of positions, rising to the rank of EU Ambassador/EC Head of Delegation for eight of those years, serving in Ethiopia and Tanzania. Whilst in Tanzania he first discovered APOPO's workcoll and became a passionate advocate of its activities. Tim’s main interest since retiring in October 2013 is to work with international NGOs to help promote greater awareness of the need for society to identify practical ways of addressing the main global issues of our time: governance of natural resources, climate change, sustainable development, and the prevention and resolution of conflict. He is particularly interested in eco-innovation and identifying and promoting community-led solutions. Thierry developed his career in the energy market (oil and natural gas), first as a manager and later as a director. He started his own management consultant company, called Act Management, 15 years ago. In this respect he undertook several important restructuring programs in the world of energy but also in the world of logistics, chemical industries, federations on national and European levels. He holds a Master degree in Applied Economic Sciences at the university of Leuven (UCL). His main hobby is sailing on the North Sea. As a sailor you learn how to combine weather, wind and current to arrive at a destination. In business you are also dependent on several factors. You need to understand them in order to achieve the company objectives. Thierry is happy to share that experience and expertise with APOPO and sincerely hopes to contribute to the success of the organization. After her veterinary studies, Jennifer obtained a Master of Science in Medical Biology and is pursuing her doctoral degree on avian influenza, looking at the interface between domestic and wild birds as well as the impact of holders on the surveillance of the disease. With this background, she has been working in public health and veterinary public health fields for more than ten years, covering implementation of international strategies and programmes and dealing with crisis management and international standard settings. At present, she is employed by the Swiss Government, and is responsible for international collaboration on animal health and welfare with multilateral governmental organisations. Her special interest lies in collaborative, multi-sectoral and trans-disciplinary approaches, which have the goal of achieving optimal solutions to real challenges. She’s supporting the Swiss Foundation in strengthening its Swiss network, thus promoting and advocating the global activities of APOPO. 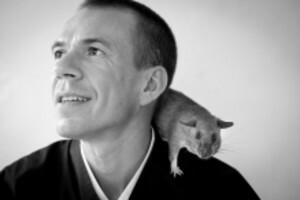 Bart initiated the idea to train rats as an appropriate technology to detect landmines and to screen for tuberculosis. With his years of experience as a product design and development engineer, Bart founded APOPO with support from Professor Mic Billet and his colleagues at Antwerp University. Bart is both an ASHOKA fellow and a SCHWAB fellow. Supporting APOPO's mission internationally and strengthening our relationships with groundbreaking partners is both a privilege and a thrill.